Home » Uncategorized » WHAT IS THE POINT OF THE COMMONWEALTH ANYWAY? The Commonwealth Head of Government Meeting recently took place in London and we must once again ask whether the organization is relevant in today’s world. The (British) Commonwealth is a voluntary intergovernmental assembly of mostly former colonies of the British empire with the exemption of Mozambique and Rwanda which have no historical ties the empire but considered it expedient to join the club of nations. 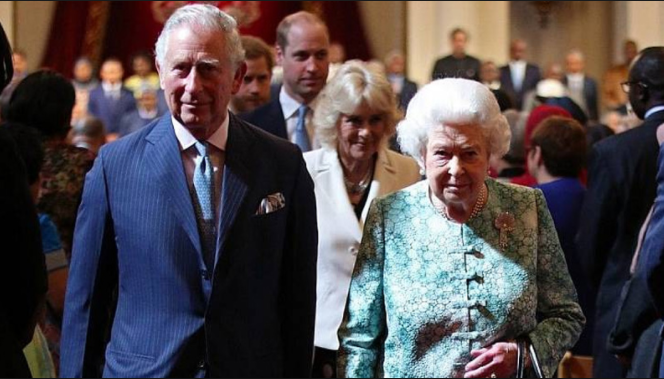 At its head sits the British Queen and her son: Prince Charles is fated to inherit the position though not as of right. The Commonwealth accounts for about a third of the world’s population (2.2 billion) and 14% of the global GDP ($10 trillion). Its allure lies in its guarantee of equality among sovereign nations from the 1.2 billion India to the 10 thousand Nauru and Tuvalu. Among its core values and principles is the promotion of democracy, Human Rights, Rule of Law, international peace and security. The Commonwealth devotes lots of attention to education, climate change and election monitoring. The question of whether the Commonwealth is relevant today has generated immense debate among scholars with some calling for its dissolution but such calls seem pointless considering the fact that its membership is voluntary but the fact that it lacks any political clout on national or global issues makes it redundant and mere surplusage. Many member states have at one time or the other been suspended from the body but with little or no consequence aside from the symbolic reputational damage. Furthermore, the moral authority of the Commonwealth is undermined by the active involvement of Britain and Australia in the invasion of Iraq and Britain’s continued support for Saudi Arabia’s murderous campaign in Yemen. This gave rise to allegations of double standard and was the subject of a petition by Dr Bala Usman of the Centre for Democratic Development Research and Training, Nigeria who sought the suspension of Britain for contravening the Harare declaration. For proponents, the Commonwealth gives a big and global voice to smaller nations because by placing certain issues outside the sphere of America’s influence, the views of all member states theoretically have equal weight and recognition. The Commonwealth also lack the power hierarchy and arm-twisting that characterises global bodies like the UN and World Bank. However, what is remarkable about the Commonwealth is that it exists at all considering the tainted past of the British empire. Perhaps its existence is not a demonstration of the greatness in Britain but the magnanimity of the once vassal states who now stand shoulder to shoulder and share a common endeavour with their former overlord. The relevance of this club of leaders cannot be fully grasped in a context devoid of its import on the interaction between the diverse people of the Commonwealth. If indeed it reflects a shared history and culture often symbolised by the British crown, the strengthening of these ties must be better enunciated not just by the coming together of its leaders to deliberate on grand ideas like global warming or the clashing of elite sportsmen and women but by an integrated aimed at promoting interaction between the people of Commonwealth and alleviating poverty. This could be in the form of a Commonwealth-centric immigration policy that eases the movement of people among member states. This proposal is not one of free movement of labour akin to the EU but one aimed at fostering tourism, education and cultural exchanges. It is only through initiatives like this that the organization can truly reflect its name and begin to share the wealth. The aggressive and hostile immigration policies of both Britain and Australia belies any claim of historical ties since a significant number of people detained on immigration grounds are Commonwealth citizens. Visa applicants to the UK from countries like Nigeria are seen as cash cows paying extortionate fees while those from New Zealand, Australia and Canada enjoy ‘red-carpet’ treatments. The treatment of the largely Caribbean Windrush generation marks a new low in this immigration fiasco. Economic development and poverty alleviation drives need no longer take the form of aids which has locked many nations into indebtedness and worsened the level of corruption but should assume an extensive transfer of technical expertise which will see employment growth and propel many nations towards self-dependency. Whether the Commonwealth can have a future that transcends the empire’s past remains plausible in view of Britain’s exit from the EU giving rise to expectation of improved trade relations within Commonwealth to make up some of the trades black-hole consequent upon exit from the common market but the deepening of relations within Commonwealth cannot be led by Britain owing to its colonial history but by nations like India, South Africa and Nigeria.